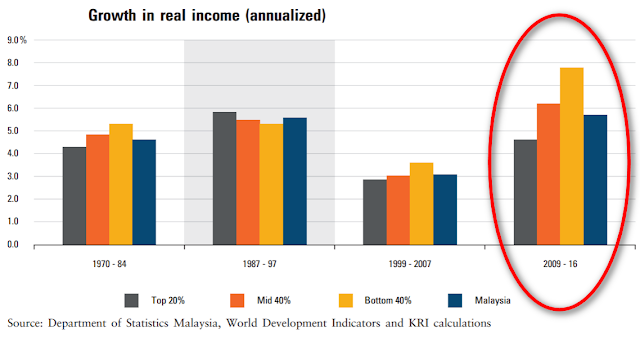 Figure above shows the residual household incomes of the different income classes. Worryingly, for households earning below RM2,000, the income remaining after accounting for inflation (i.e. real residual income) is only RM76 in 2016, reducing from RM124 in 2014. 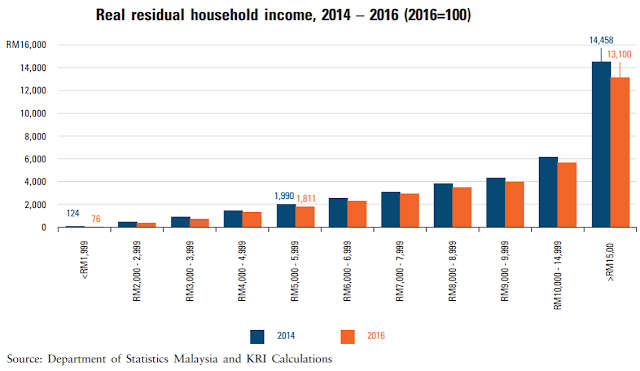 This highlights that households earning below RM2,000 are potentially very vulnerable against any economic shocks or emergencies. Meanwhile, households earning above RM15,000, who had RM13,100 remaining in 2016, decreasing from RM14,458 in 2014. Important to note, however, residual household income still includes income to be paid as tax and compulsory social security schemes. Always complaining that the rich is getting richer, and the poor is getting poorer? But, the above figure shows that the poorer income group is getting the highest real income growth for the past few years. The only period in which the top 20% households experienced higher annual income growth than the other two groups was between 1987 and 1997. Huh? Is this a good news to B40 group? Throughout this period, education spending has consistently made up between 18% to 26% of total current government expenditure. Nonetheless, compared to other countries, Malaysian government spending on education when normalised by the number of students is still relatively low. More and more government spending, but the proportion towards education is getting lesser as relative to other expenditure. Malaysia should now focus on in its journey towards becoming an advanced economy. 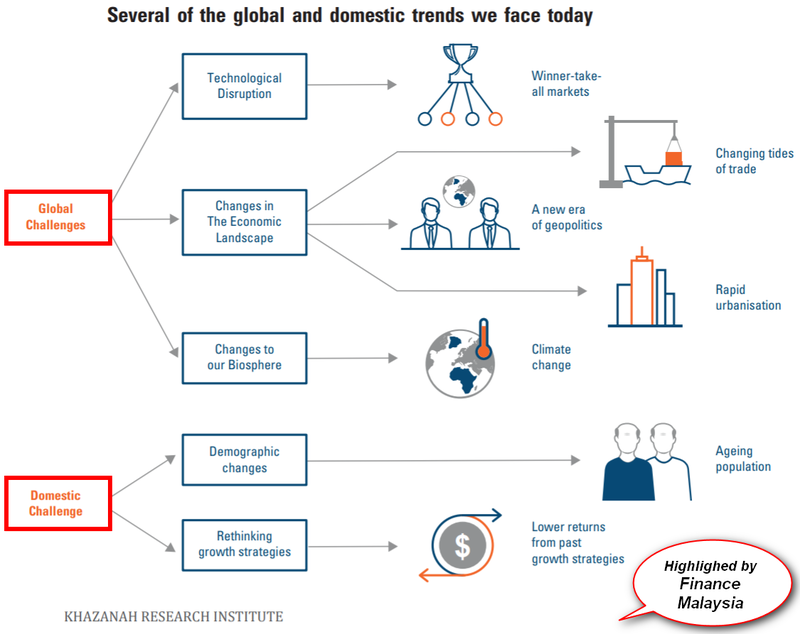 However, various global and domestic trends — ranging from technological disruptions, changes in the global economic landscape and biosphere to demographic changes in the Malaysian society and lower returns from past growth strategies — pose a challenge to Malaysia’s economy and the well-being of its people. Beating the middle-income trap is rare. Those countries that managed to move from stage 2 to stage 3 have developed large multinational companies (MNCs). Can Malaysia do so and escape the trap? And, how many more years do we have to wait? Source: Khazanah Research Institute 2018 research report "The State of Households 2018 : Different Realities"